We have started this business in 2010 in a little stage. Today we are doing business with well known builders of Ahmedabad and big Estate broker of the city. Bopal is a new developing area of Ahmedabad. All the well known developers of the city have started their projects in Bopal such as South Bopal. 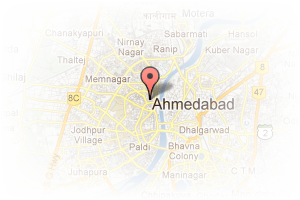 Address: Bopal Circle, Bopal, Ahmedabad, Gujarat, India. This Broker Profile page for "Vallabha Investments" has been created by PropertyWala.com. 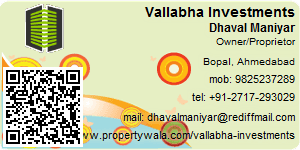 "Vallabha Investments" is not endorsed by or affiliated with PropertyWala.com. For questions regarding Broker Profiles on PropertyWala.com please contact us.